You are here because you are a pitcher (or a pitcher’s parent or coach) and you want to get better. That’s a good reason to be checking out some pitching exercises. But an even better one is you are here to try and prevent injuries from pitching. Good pitching conditioning helps you get become a better pitcher and helps prevent injuries. I’m impressed that you want to work hard to improve, but your body is not quite ready for pitching exercises. Your arms and legs are still growing fast and they don’t need the strain that comes with these exercises. For the time being just do a lot of running and bike riding. That is the best workout for young pitchers. For the older, more physically mature pitchers, usually 14 and older, yes, the right pitching exercises will help improve your pitching performance (everybody wants to throw faster). 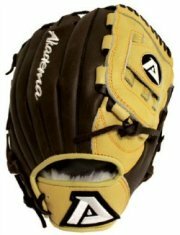 So don’t fall into the trap of waiting until a few weeks before the baseball season begins and start doing long toss. That is not going to cut it. Pitchers, like all baseball players, need a year round workout program. We all know that pitchers have arm and shoulder injuries, just like we know that football running backs have knee injuries. Anything that we do with our body that is an un-natural motion or that puts an extreme amount of strain on one part is going to cause injuries. The best way of preventing those injures (beside stop pitching or carrying the football) is to do exercises that strengthen our muscles. Quite often it is muscle strains or tearing that causes the injuries. If you have stronger muscles you are less likely to have muscle strains or tears. During the twelve month training program, there are four different phases of pitching exercises. Let’s start with the no throwing phase. This will be for a period of six to eight weeks right after your playing season ends. Many pitching gurus say that there is no need for a “no throwing” time period. They believe in year round throwing. Well, let me tell you, I pitched as a youth and all of my sons have been pitchers, and a “no throwing” period is needed. Your throwing arm and shoulder need some downtime. But I just want you to know there are many websites that promote no downtime. During the “no throwing” period it is a good idea to consider doing some running and band exercises. If you had a long summer season and an intense fall program, then by all means take some time off. If you feel like continuing with some training, then keep with some light exercising. After your downtime phase is over the next phase is to start working out again. Begin slowly but keep adding reps and increase your work load. The idea of this phase is to get you ready for the all intense phase that is coming up next. About three months before the playing season starts again, you want to ramp up to a full, hard working program. This is the all intense phase. You should be maximizing your pitching exercises during this phase. This is the time period where you will make the most gains. Don’t let up until the umpire says “Play Ball”. The final phase is during the season. Don’t take this season off or what happened to my youngest son will happen to you. 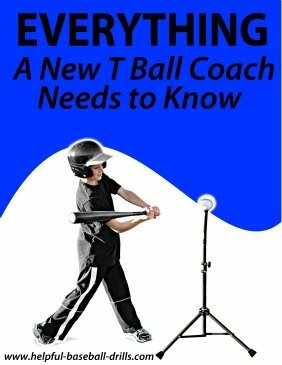 You can read about him here Baseball Strength Training. During the playing season you want to workout just enough to maintain your strength. Obviously we don’t want to affect your on field performance, so typically one or two sessions per week of pitching exercises is enough. 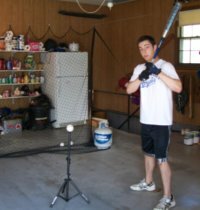 So what type of drills should a good workout plan include that you are going to use for pitching exercises? Good question. Find a workout plan that includes a lot of work for your legs and back. Different types of squat thrust are great for pitching workouts. You will be getting your entire core muscles involved (lower back, hips and legs). Jump rope and box step ups are some more great pitching exercises. Band resistant (tubing cords) exercises are great for building core muscles. Do some running drills with bands wrapped around your legs and you will get stronger. And while we are talking about your lower body, weight lifting with your legs is great. 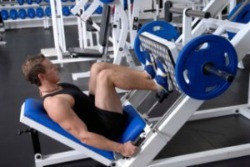 Leg presses leg extensions and leg curls are three good weight lifting workouts for pitchers. For your upper body, which includes the mid-section, arms and shoulders, flexibility exercises are a must. Again, band (tubing cords) exercises are great. Attach the band to a doorknob or pole and work those am and shoulder muscles. Medicine ball drills are probably the best exercises to build more muscle and flexibility in your mid-section area. Any weight lifting with your arms should be very light, five pounds or less. Three other great routines that every workout plan for pitching exercises should include are push ups, pull ups and running. Yes, these three simple exercises are great for conditioning. There is no excuse for not doing these. There are many websites that offer detailed, daily workout routines. Find one that fits your “current situation” and that includes many of the above mentioned exercises. By your “current situation” I mean your age, what kind of shape on you in, and how much time do you have to workout. No matter what your “current situation” is, just get started now, not tomorrow or next week, but now.